Fasten your seatbelts everyone – ISU is going to kick-off the autum semester 2015 with the first ISU Kick-off camp in ISU Norway’s history! ISU Norway has an open position for the 1st Vice President position in the National Board to work for the interest of international students! We hope to see your application! Deadline for the application to be sent to nationalsecretary@isu-norway.no is Friday the 1st of May at 13.00. See this link for more info about the position and the responsibilities. There has been an agreement in the budget negotiations between the government, the Liberal Party and the Christian Democratic Party to drop the proposal to introduce tuition fees for international students. This puts an end to the proposal to make Norwegian higher education institutions to charge tuition fees for students outside the EU/EEA. - We are very pleased that the Christian Democrats and the Liberals have decided to keep higher education in Norway free, and are delighted that the government prioritises quality and diversity in higher education, says Abbas Sharif, leader of ISU. - ISU wants higher quality in education and a concentrated effort on the successful integration of international students in to the Norwegian society, so that they can in a realistic and beneficial manner, advantage Norway. The budget agreement is a good step in the right direction, says Sharif. Overall the higher education sector this fall has shown that we are united against the introduction of tuition fees. ISU has come with a clear message to the Government to end the proposal once and for all. - A bad proposal is not helped by suggesting it again year on year. We now expect the Government to scrap the proposal for good, and stop recycling it when Parliament has previously rejected the proposal, says Sharif. Today 17th November students in many countries celebrate International Students Day. This year ISU’s focus is on international students in Norway and the diversity international students create on campuses around the country. The international students’ day will be celebrated across Norway, with several different arrangements of celebration by ISU member unions. ISU hopes and believes that this day will become an annual celebration of Norway’s higher education institutions. This year the theme is particularly relevant to government proposals to introduce tuition fees for international students who want to study in Norway. - We want a highlight that shows what international students mean for the academic well-being and quality of Norwegian higher education, and to mark the students saying a definite no to the Government's proposal to introduce tuition fees for international student, says Sharif. Article in the national newspaper "Aftenposten"
KrF (The Christian Democrats) reject tuition fees for international students from outside the EEA in its alternative budget proposal. Earlier also Venstre’s (The Liberals) central executive committee adopted a statement against tuition fees. - This is very important for Norwegian higher education, and a good prioritisation of the Christian Democrats and Liberals. Free education is one of the favourable conditions that makes Norway maintain a competitive advantage in today’s globalized world, says Abbas Sharif, President of ISU. - In an increasingly globalised world, international students add great value and diversity to universities in Norway. • We now expect the government not to suggest this proposal again the following year and put the proposal in the shredder and stop recycling bad ideas that Parliament has previously rejected, says Sharif. Earlier the Liberals also at its National Board adopted the statement "Education across borders", where the party advocated against tuition fees and defended the principle in Norwegian higher education. The government has now no support from its cooperating parties for the proposal to introduce tuition fees. - This sends a strong message to the government. We expect the Christian Democratic Party and the Liberals will be hard on this in the budget negotiations and that Parliament is as principled as the same time last year, says Sharif. The Government has today (October 8) proposed the introduction of tuition fees for international students outside the EU / EEA despite a unanimous Parliament that said no to this for under a yearago. International Students’ Union of Norway (ISU) believes the proposal for tuition fees is a very negative impact for Norwegian higher education and hopes that Parliament is principled in the budget process. The proposal will have direct budgetary impact by withdrawing 80.5 million in funding to the institutions. The Government will, as a consequence of the proposed changes in the regulations will make it possible for institutions to charge tuition fees to cover the cut on the 80.5 million. This is a direct threat to the principle of free education, the foundation in Norwegian higher education. ISU has issued a press release in conjunction with the state budget. Statement from the leader of ISU, Abbas Sharif is available here. The organisation has a clear policy that the principle of free education is one of the cornerstones of Norwegian higher education. Last year, the government proposed a study of tuition fees for international students in order to implement this, but Parliament opposed the proposal. The government now takes a rematch. We oppose against this proposal. We hope for a good cooperation with our member kind, cooperating organisations and the rest of the sector. We hope and believe that Venstre (Liberal Party) and KrF (Christian Democratic Party) again will make sure to preserve the principle of free education. This is a direct threat to the principle of free education, the foundation in Norwegian higher education. A threat to one is a threat to all. Read the Press release from ISU leader Abbas Sharif in the link below. Restricitve visa policy based on nationality and the choice of study programme is both disempowering and discrimenatory in all its form, ISU says. ISU calls for a constructive dialogue between the academic institutions, the government and the official student organisations, facilitating the creation of a safe and very predictable legal framework for the Iranian students who want to study in Norway. Read more in the link. International Leadership Meeting, May, 2014. The leaders of the ISU-Norway met on a weekend workshop in Gjøvik. The meeting was filled with many discussions, presentations, and other core ISU activities according to intensive ISU-Norway agenda. It was the second Leadership Meeting this year. You can find the presentations of the local branches in the LNU section accessible in the menu on the left of the page. Read more also in the post at GUC News archive. Solberg: Norway needs smart foreigners, November 12th, 2013. Norway’s Prime Minister, Erna Solberg, wants to make it easier for highly-qualified workers to immigrate to Norway. Her plans include accelerated immigration procedures for qualified experts, and allowing pre-approved employers to jump the queue. Solberg hopes that this will allow Norway to attract higher-quality international talent. Read the article in The Local online magazine. January 8th, 2014. Last week the government announced a proposal to consider the introduction of tuition fees for international students. ISU Norway takes a particular exception to this development and calls on all student organisations, partners and stakeholders to cooperate to discuss and highlight the consequences this proposal will have on Norwegian universities, Norwegian society and businesses, should it be implemented. ISU Norway calls on the Government to abandon this proposal as this proposal not only puts a dent to the equal opportunities and rights to education policy embodied into the Norwegian society and system, but it’s also discriminatory, given that Norway is hailed world-wide as custodians of human rights and free education. Read more in the press release. November 12th, 2013. A New National Board of International Students’ Union of Norway, October 5th, 2013. The new board was elected on 20th of October during its annual National Assembly, which was kindly hosted by Oslo and Akerhus University College of Applied Science. As usual National Assembly was a great opportunity get together delegates and observers from most of the universities and university collages of Norway, exchange ideas and experiences, get to know each other, solve ongoing issues. See the new board presentation at our National Board page, or read the full press release. October 20th, 2013. At NSO's National Executive Committee (1) 27th – 29th September 2013, Abbas Sharif, ISU Norway President, emphasised about the great benefits to both organisations and strengths of working together towards their shared belief in representing the interests of students, making a real difference to the lives of students and member students' organisations, collective organisation and democratic participation on campuses. Read more in the attached news item. October 5th, 2013. ISU NORWAY participated in NSO's KICKOFF 2013 conference of the representatives of the organisation and partner organisations held at Jessheim on 9th and 11th of August. The aim of the conference was to bring together NSO, ISU Norway and interested organisations with the inspiration to have the best possible cooperation, the tools to embark to the new academic year and put together joint plans for cooperation in the future. Read more in the attached news item. August 7th, 2013. Dear current International Students in Norway!June 6th, 2013. ISU Norway kindly asks you to follow the following link: www.surveymonkey.com/s/intstudents with questionnaire about the perspectives and experiences of international student in Norway. The survey is anonymous. The report will help ISU understand the positives and negatives of studying in Norway and better formulate a policy that represents the views of all international students in Norway. On April 8th, members from ISU Norway Daniel Hernández Iniesta (ISU Stavanger, Spain), Louise Porup Alstrup (ISU Harstad, Denmark) and Ajmal Hafeez (ISU Agder, Pakistan) participated in the business case competition "Aarhus Case Competition" that was held in Aarhus (Denmark). Aarhus Case Competition is an annual competition for Nordic business students. During the ACC week, the participating teams will have to solve two introductory cases and one extensive 30-hour case (in Aspire Case Camp it is only 24 hours), and present this to top professionals. Daniel, Louise and Ajmal have been selected as one of the 9 teams out of 50 applicants from Nordic countries. They were the only team selected from Norway and have participated as representing ISU Norway. The aim of the competition is to offer students an inspiring experience and an opportunity to develop their business skills. The participation has been extremely positive in terms of team work, and learning from other participants, as well as improving leadership skills and talent development from the assistance of different workshops by Quartz+Co, Deloitte and Arla, the seminar "Talent Development" by Rasmus Ankersen (Professional Talent coach) and Jais Valeur (Executive Vice President of Arla). Aarhus Case Competition has created a friendly environment of cooperation between all participants. ISU Norway team have explained the importance of international students and the work ISU Norway and the local branches are doing towards a positive integration in Norway. Morten Andreassen (Head Coordinator at Aarhus Case Competition 2013) expressed that the organizing committee enjoyed ISU Norway’s participation. The three members of the team delivered great solutions, and improved a lot throughout the week. Furthermore they have shown eagerness to learn, networking with others and in general create a great atmosphere for all of the participants. As one of the closest partners of the Norwegian Student Organisation(NSO), International Student’s Union of Norway participated as an observer at NSO’s National Convention 2013, that was held in Tonsberg from 11th – 14th April. ISU Norway introduced the resolution calling for more to be done on Integration of International Students in Norway. The Resolution believes that international students should enjoy equal opportunity Regardless of their race, religion, gender or social background. • Free tuition fees for all international students: NSO Leadership to continue its campaign for free higher education. • Facilitate social integration through more inclusive education of both Norwegian and international students, as well as better and more allocation of housing and language courses offered to the laughter. • Liberalized training and employment policies and Regulations enable two international student two Maximize their exposure two Norwegian society and culture through internships and employment. Read the full resolution for more. April 21st, 2013. In recent times, the press has carried reports about alleged proposals to introduce tuition fees and application charges on International Students intending to study in Norwegian Universities. This has been mainly due to the fact that both Denmark and Sweden have introduced tuition fees for international students. 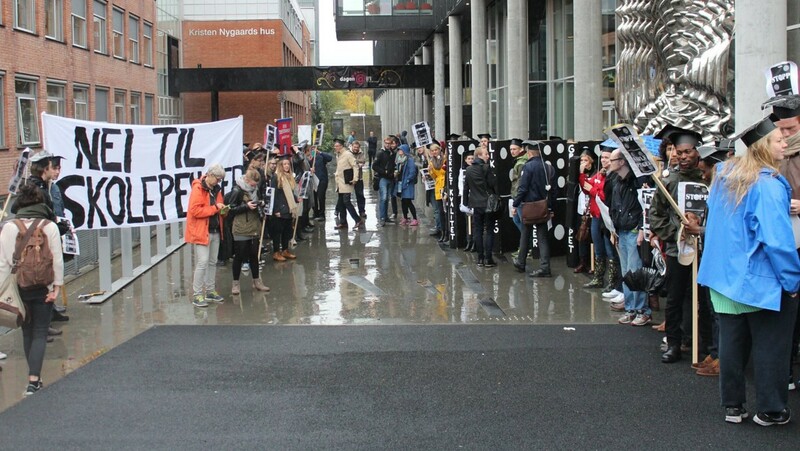 The events in Sweden have triggered agitation among political parties and a minority of notable student organisations for Norway to follow the example of Sweden. Some have actually gone to the extent of proposing the introduction of student application fees for international students! Read the press release for more. March 8th, 2013. ISU Norway participated in the Norwegian Student Organisation’s (NSO) just ended Ls 3 (3rd General Delegates Meeting) at Thon Hotel, Halden. NSO is ISU’s closest working partner and ISU has an observer status to all NSO’s board meetings. In attendance were delegates from all the Higher institutions in Norway, partner organisations, Trustees, National Board and Workers from the NSO secretariat. On the whole, it was a very productive weekend with very positive and progressive deliberations. The main issue that concerned ISU Norway was the International Platform. NSO reaffirmed its commitment to free education indicating that "Higher education should be the overall responsibility of the state, and the state should ensure a society that is not characterised by social and economic class distinctions. The introduction of tuition fees will make education available to the elite, not the masses. It is not an end in and of itself that everyone pursue higher education, but everyone should have the same opportunity to do so, regardless of social and economic status. Education is a powerful tool to ensure social mobility and the introduction of tuition fees will weaken the principle of equal opportunity." Read the full story. February 14th, 2013. ISU wishes you all the best in 2013! In the recent election for the Student Parliament of the University of Stavanger (UiS), ISU Stavanger managed to get two representatives elected: Daniel Hernández Iniesta and Kristina Anette Vaeng. Now that ISU Stavanger is in the Student Parliament it is aim is to represent and speak on behalf of all students and raise issues concerning the general welfare of the student masses. In addition to this, the representatives from ISU Stavanger will be especially concerned with internationalization and the political and welfare rights of international students studying in Stavanger, this includes issues such as living conditions, accessible campus with all necessary information in English and social interaction and integration between Norwegian and International students. Read more: ISU STAVANGER TRIUMPHS ELECTIONS FOR THE STUDENT PARLIAMENT AT UNIVERSITY OF STAVANGER, November 25th 2012.
read also: Memo to Ministry of Education, October 17th 2012. Some political parties are trying to undermine the fundamental principles of Norwegian society again by creating a first-class and second-class human beings. Humans are going to be classified just by their citizenship, something they were mostly given at birth. The scissors between those who have access to the best resources and those who suffer from lack of it are going to open further, like if they already were not open enough. International Students' Union continues its strong support to equal access to education for all. An article on the current initiative in the Senterpartiet has been published in Studvest, read it here: Frykter studiepenger vil ekskludere (in Norwegian), September 26th, 2012. ISU is electing a National President and 4 Vice Presidents on its National Assembly in Bergen 19th - 21st October 2012, and we want as many candidates as possible to run for the elections!National PresidentThe job as a National President for a national student organization is a rewarding one, offering both the honour of representing international students towards various Norwegian authorities, partners and organizations and the opportunity to work with people from all over the world. It is also an excellent opportunity to develop further your leader skills. ISU-Norway participated in Norwegian Student Organisation's just ended LS 5 (5th General Delegates Meeting) at UMB, Ås. NSO is ISU's closest working partner and ISU has an observer status to all NSO's board meetings. In attendance were delegates from all the Higher institutions in Norway, partner organisations, Trustees, National Board and Workers from the NSO secretariat. ISU National President also met with representant from SAIH and former president of ISU-Norway, Karen Contreras Lisperguer.Read the full press release. June 10th, 2012. Our first ever diplomatic envoy attended Gulf Conference in London, U.K.
ISU participated in the just concluded Gulf Education Conference on Globalisation and Internationalisation of Education hosted at the Hilton Metropole Hotel in London (May 28th-29th). In attendance were ministers of education, professors, education consultants, university chancellors, directors and managers of business institutions among others from the Gulf states, Europe and the Scandinavia, and ISU's Vice President of Academic Affairs and Welfare Isaac Wanasolo was privileged to represent ISU at the meeting. Key strategies that were presented included among others Research Collaboration between institutions, Increased Funding towards: First, research on multiculturalism and inclusion activities, second, Promotion of Exchange Programs, and Affirmative action towards increased grants and scholarships for less privileged talented students from developing countries and third, offering conditional grants to developing countries towards teacher motivation and continuous professional development to enhance their knowledge and skills. Read the full press release. June 1st, 2012. From May 4th to 6th of 2012, International Students’ Union of Norway held a Leadership Meeting (LMii12) in Tromsø to monitor and discuss the developments and implementations on ISU Norway since the first Leadership Meeting of the year, January 27th - 29th, 2012, in Oslo. The meeting was organized through a collaborative work between ISU‐Norway and ISU‐Tromsø. A total of 20 local branches, in addition to one newly established branch from NLA Bergen, were represented by one respective delegate. Read the full press release. May 24th, 2012. ISU is taking part in global movement for equal access to education. For this purpose ISU joins and supports SAIH’s (Norwegian Students’ and Academics’ International Assistance) campaign for this year. SAIH campaign for this year is about "Scholars at Risk", which focuses on the students who have been suppressed by their governments due to their view points. The annual Spring Gathering of SAIH was held between April 13-15th this year, and Ashish Singh, the First Vice President of ISU Norway, represented ISU in this gathering to show ISU’s support on SAIH’s work towards the rights of students from all over the world. The gathering was also attended by representatives from different local chapters of SAIH, from Spire and NSO.For more information and links to relevant sites, please see Ashish's report. May 1st, 2012. ISU has been invited to the Annual General Meeting of Spire that took place on the weekend April 21st - 22nd at Miljøhuset in Oslo. More than 40 members from the whole country assembled for an inspiring weekend with discussions on different topics and meetings. The program included a workshop on Fairtrade, voting of a topic for campaign for the next year, and board elections. Spire is an important partner for ISU since we can support each others' campaigns and work together towards both better conditions of International students in Norway and better harmony between trade and sustainable society.Read more about the meeting in Norwegian, or see the agenda in English and related resources at Spire website spireorg.no.The speech of the ISU National President, John Ganyo at the meeting is available here. April 30th, 2012. Norway is one of the few countries with no tuition fees for foreign students. A discussion whether this status can be sustained arose recently in public media. Recent introduction of fees for foreign students in Denmark and Sweden let into a dramatic decline in the number of foreign students applications. The no fee principle relates not only to the moral responsibility of building knowledge independently of the country borders, it is also a clear answer to solidarity, development and cooperation at the global level. An article (in Norwegian) from Camilla Hermansen, leader of the student parliament of NLA University College and Ashish Singh, the First Vice-President of ISU-Norway has been published in universitas.no and a letter has been dispatched to the Ministry of Education and Research. April 25th, 2012. Update, April 29th 2012: The letter to the Ministry by Ashish Singh, the first Vice President and Camilla Hermansen, leader of the student parliament of NLA University College received some attention. Utropia newspaper also published the same letter, Utropia - Debatt, Leserinnlegg - 26. April 2012 and this issue has been raised in the NSO meeting, see NSO's website. Furthermore, an article at Daniel's blog, read it here. Valuably, on the blog of NTNU Professor- Stig A. Slørdahl (Dekanus, Det medisinske fakultet, NTNU)- the same letter is also posted. Thank you very much, this raises some hopes for the international students in Norway! Recently, ISU-Norway has initiated several new branches at university colleges across the country. We are happy to see that they are getting more active and strong. A new article about the branch at HiNT has been published. We congratulate the new leaders elected at the first meeting of ISU Steinkjer: Andreza Lisboa, Chris Hanga, Sergey Kozhin, Maria Tselikova, Victoria Guryeva, and wish them a great start in their ISU season. For more, read the article at HiNT website. April, 22nd 2012. A European youth conference will be held in Oslo this September. The goal is to form a platform where young people can discuss the situation in Europe, says the driving force Ashish Singh - leader of the International Students' Union of Norway (ISU). The topic of discussion this time, like so many times before, is the current situation both in Europe and the rest of the world. The opinions and solutions are diverse. Viewpoints shaped by the fact that they come from different countries, are studying different subjects and thus have different knowledge and solving. Read the full article, Tidskrift for Samfunnsviterne 1/2012, and an English translation. April 2nd, 2012. ISU gets into involving the available skill-set into make change happen in the developing parts of the world. To gain some expertise and exposure, ISU joined hands with one community based organization (CBO) Uttranchal Youth and Rural Development Center (UYRDC) in the Himalayan region of India. UYRDC is active in the Uttranchal province of India for more than two decades, and has been doing activities to provide sustainable opportunities to the youths and rural communities detached from the mainland. ISU's representatives will visit India in the summer of 2012. ISU as an organization will get benefited by having a knowledge working in a totally different geographical region. The project is funded by LNU under their scheme ‘global north-south project’. See the full article. March 30th, 2012. As part of the annual agenda, ISU Norway, in coordination with the ISU HIOA, organised a leadership meeting, LMi12, on a broad range of topics. It was held at Oslo and Akershus University College of Applied Sciences, Pilestredet campus, Oslo, from 27-29 January 2012, with contributions from honourable guests. See the full report. See also leadership meeting website February 14th, 2012. Between April and October 2011, ISU Norway has made giant strides in expanding the local base of Norway’s Union of International Students studying in various universities and colleges across the country. For the first time since its inception, ISU has opened 6 new local branches in a period of about three months including one merger where a new local branch was merged with an existing one as a result of the two institutions becoming one.The new local branches include; ISU OIBC (Oslo International Bible College), ISU AHO (Oslo School of Architecture and Design), ISU HiOF (Østfold University College), ISU NVH (Norwegian School of Veterinary Science), ISU HiNT (North-Trøndelag University College) and ISU HLT (Norwegian School of Leadership and Theology). See the press release. See also a short notice published in Utropia (#13/2011) November 10th, 2011. University of Science and Technology) as Vice President of Academic Affairs and Welfare, Ahmet Oguz Tezel from Turkey (studying at Norwegian University of Science and Technology) as Vice President of Public Relations and Mashhood Ahmed Sheikh from Pakistan (studying at University of Tromsø) as Vice President of Union Development. See the full press release. October 25th, 2011. The job as a National President for a national student organization is a rewarding one, offering both the honour of representing international students towards various Norwegian authorities, partners and organizations and the opportunity to work with people from all over the world. It is also an excellent opportunity to develop further your leader skills. It is a 38% job position that will be available from November for a period of 13 months. The election is going to be held at our National Assembly in Bodø on Sunday 23rd, and we encourage all of you interested to apply! We are thankful for all the help we can get in circulating this announcement. Information about what the position as a president of ISU requires, what tasks the president is expected to perform as well as information about the application process can be found if you click on this link: National President. ISU will also elect 4 Vice Presidents at the National Assembly; one First Vice President, one Vice President of Public Relations, one Vice President of Union Development and one Vice President of Academic Affairs and Welfare. The Vice Presidents are elected for a period of one year. More information about the duties connected with the positions as well as about the application procedure can be found here: 4 Vice Presidents. 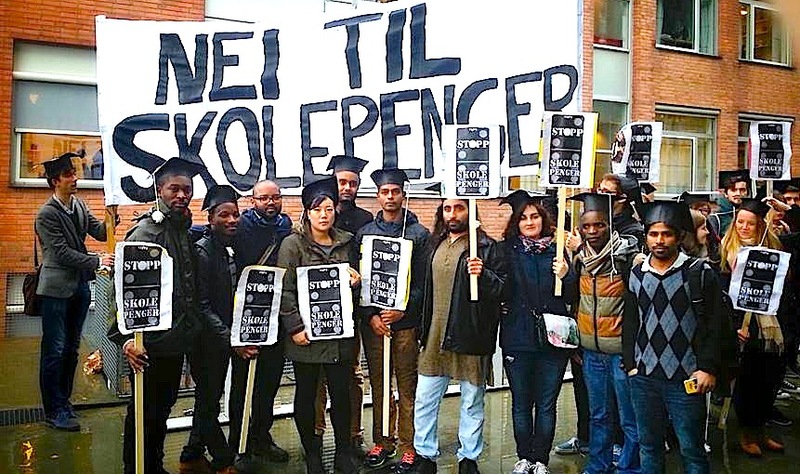 In recent times, the press has carried reports about alleged proposals to introduce tuition fees and application charges on International Students intending to study in Norwegian Universities. This has been mainly due to the fact that, Sweden has introduced tuition fees for international students from 2011; a development to which the Vice-Chairman of the Swedish Student Union, Sveriges förenade studentkårer (SFS), Robin Moberg, stated the following, "We are upset. This is a step backwards for welfare, and it also dents the viewpoint that Scandinavia consists of knowledge nations where every person has the same opportunities and rights to educate themselves". Opportunity to work in one of the largest Norwegian companies. Read more news about ISU in the older news archive.